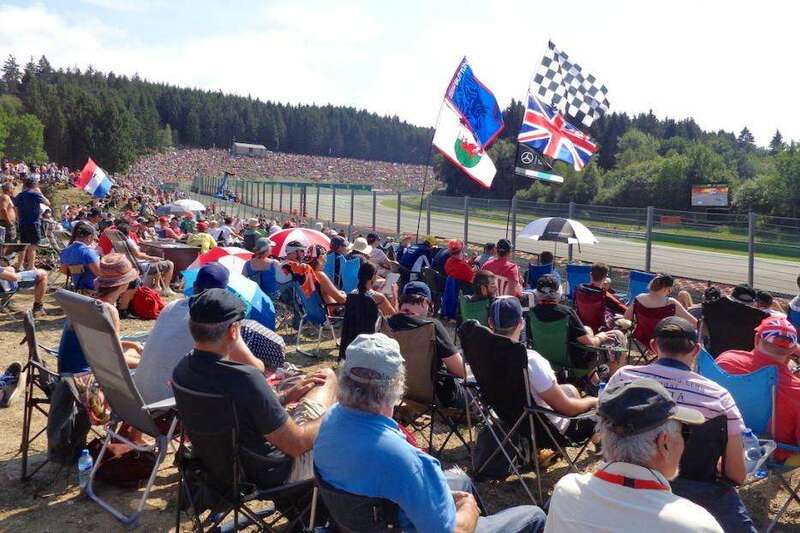 Your guide to getting the most out of your trip to Spa Francorchamps for the Belgian Formula 1 Grand Prix. The next race is on August 24-26, 2018. Despite being the longest current F1 circuit at 7.004 kilometers (4.352 miles), Spa has a fairly low spectator capacity of 70,000 fans. 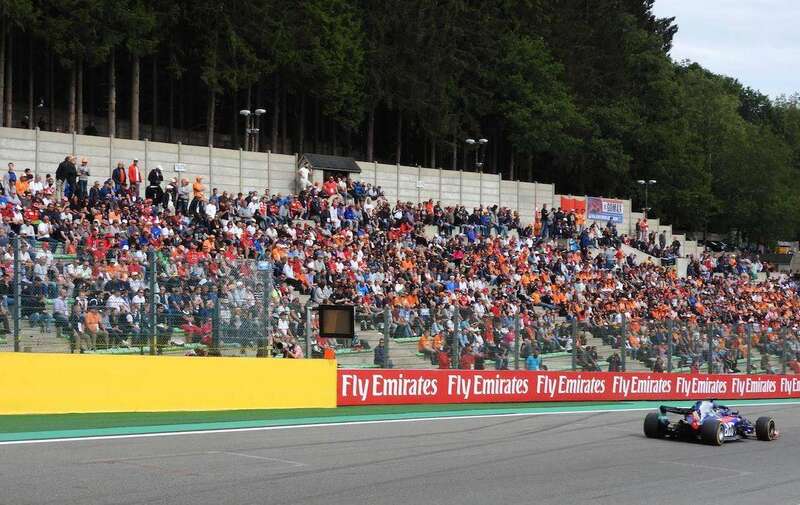 Most grandstands are located close to the pit straight and opening Eau Rouge corner, with the rest of the circuit given over to General Admission viewing areas. Whatever ticket you buy, be ready to cover lots of ground on foot, especially when entering and exiting the circuit. Comfortable, hard wearing shoes are a must to tackle the hills and dirt paths through the mountains at Spa. A decent level of fitness is also needed to get the most out of General Admission; the best spots also tend to get busier over the course of the weekend, so you need to get there early on race day to secure your spot. The weather is notoriously fickle in the Ardennes area. It’s often warm and sunny when the race is held in late summer, but rain is never too far away. Pack for all conditions ahead of your trip, irrespective of the forecast. You’ll need to buy a parking pass if you are planning to drive to the circuit. 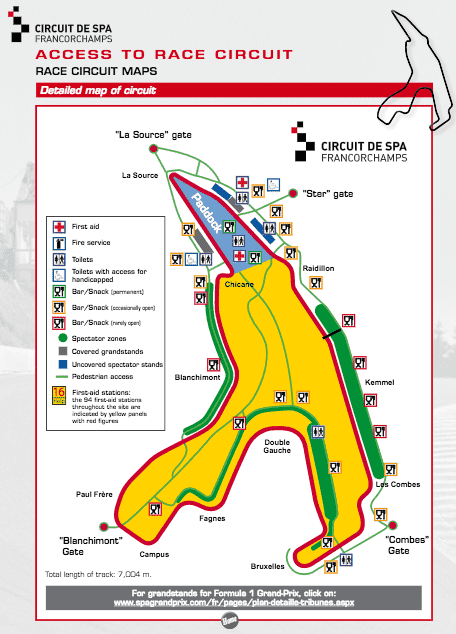 There are three offical parking zones: Yellow is close to La Source and best for most grandstands, Green is close to Les Combes and Red is next to Blanchimot. Tickets cost 16 EUR per day from the circuit website. More details in Getting There & Around. 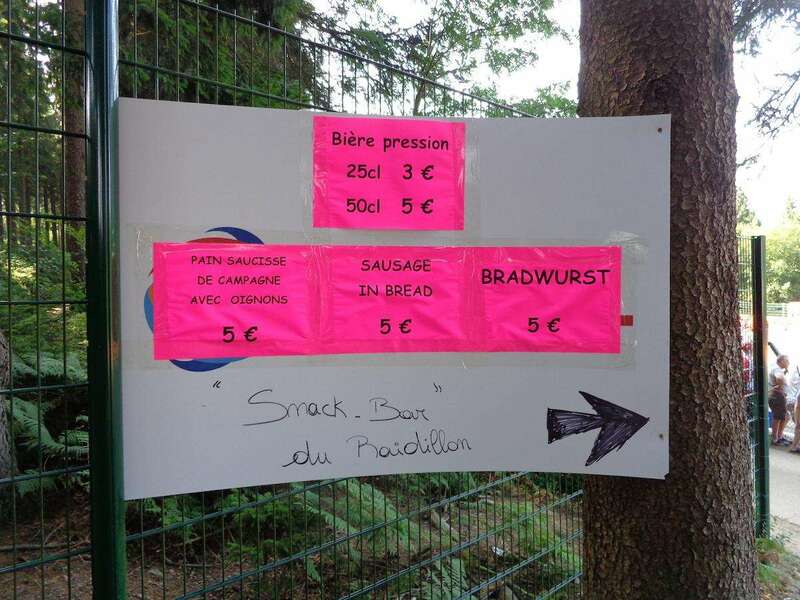 What can you bring into Spa Francorchamps? 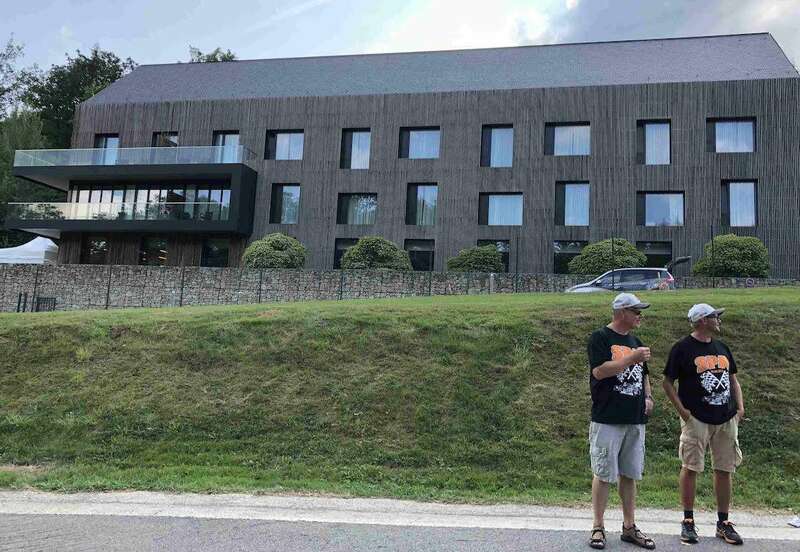 The security checks upon entering Spa never used to be the most thorough, but have been stepped up in recent years due to the increase in terror attacks in Western Europe. The pitlane walk for 3-day ticket holders takes place on Thursday, August 23 from 16:00-18:00. Enter via the La Source gate. With larger attendances in recent years, we recommend getting there early as the queue will be substantial. Please also be aware that the pitlane area is quite narrow and can get very congested. 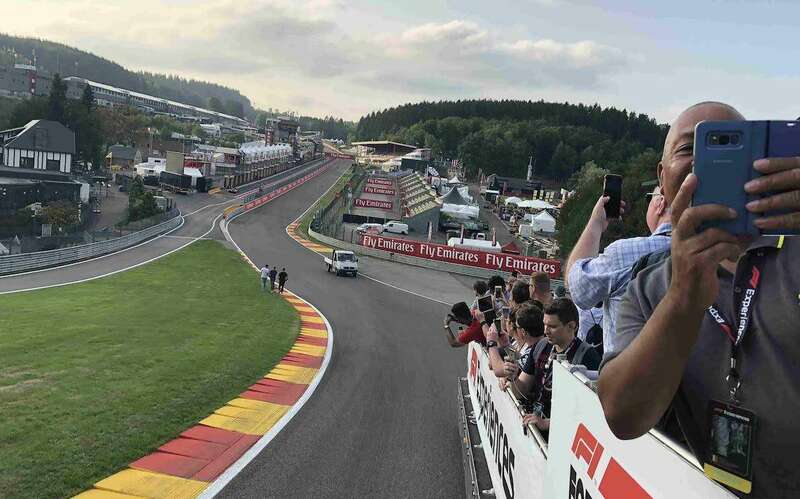 As with most European rounds this year, the on-track schedule at Spa also features action from Formula 2, GP3 and Porsche Supercup. 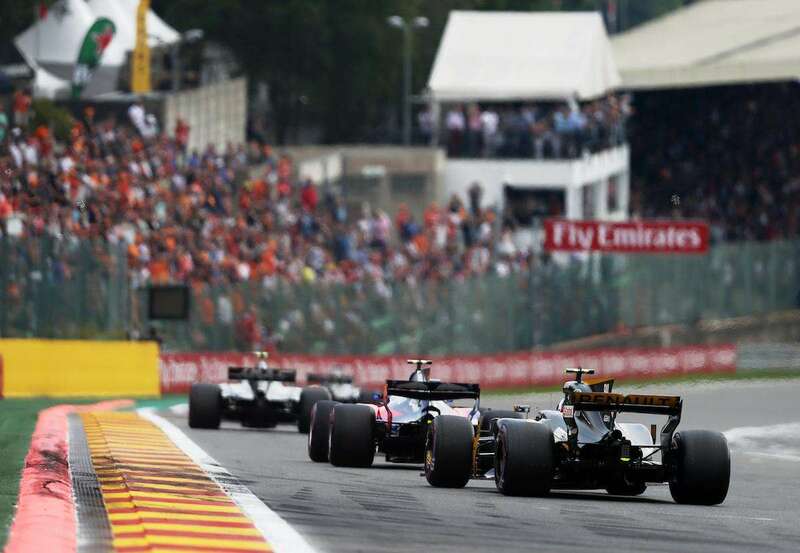 F1’s two main feeder series both feature two races over the course of the weekend (a longer feature race on Saturday afternoon and a sprint race on Sunday morning), as well as practice and qualifying. The Formula 2 races in particular are worth catching for some very close racing. Bring your own food and drinks if you are on a budget. There’s a handful of permanent and temporary toilet blocks costing €0.70 to use or free ‘porta potties’. Been to Spa Francorchamps? Leave a comment with your trackside tips! Thank you for the great info. This is a real service to the F1 fan community. My husband and I are familiar with the Montreal track and sit in the grandstand at turn 1 every year. This year we also bought GA tickets for Spa, driving up from Southern Germany for the race and staying in Aachen. Where should we position ourselves on the grass? It seems like Fagnes could be interesting. Hi Cara, thanks for the compliment! 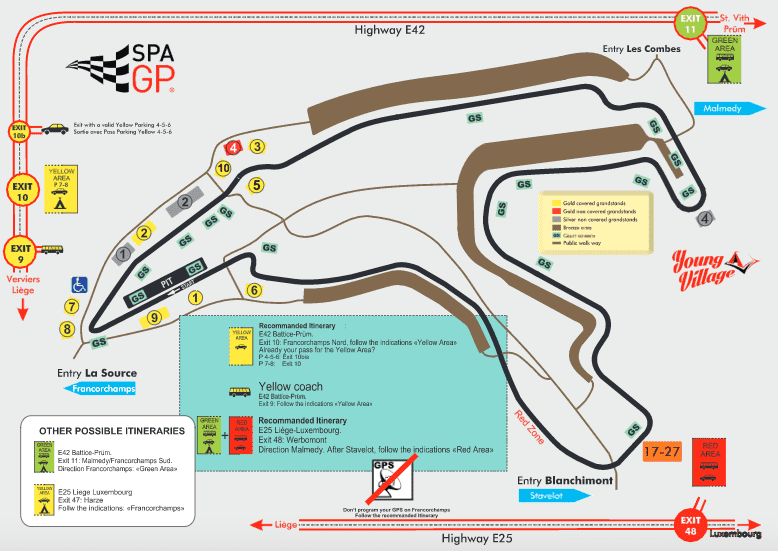 General Admission at Spa is awesome, just don’t forget to take some comfortable shoes (or hiking boots!) 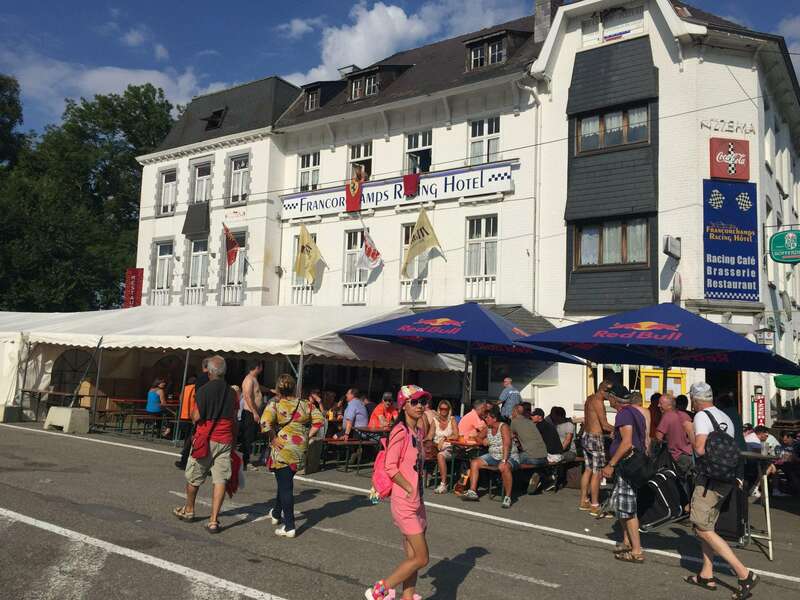 I walked around the whole of Spa in 2015, and I think for the race, the most comfortable place to watch in GA is Pouchon. There’s lots of elevation and plenty of room, plus great atmosphere and good places for food/drink. Fagnes has no elevation, so not such a great place to watch. Finger’s crossed for sunny skies this year. Rain at Spa only looks good on TV! Would you know whether you can enter and exit the track during the day to return to your car to pick up supplies? We will be parked in the Yellow Zone if that makes a difference? Hi Matt, just had confirmation from the circuit that there is no problem to leave and gain re-entry to the circuit during the day. Hi Matt, where can i park my car if i go to the thursday pitlane walk? I already have parking tickets for the whole weekend on the red area (17-27 Zone), but i don`t find information about thursday. Who’s Matt?!!! I just replied to another comment about this. Best parking for the Thursday pitlane walk is the Yellow zone, close to La Source. It’s free to park there on Thursday. Hi Olivier, as early as you can. The General Admission areas will be really busy this year. If you are travelling as a group, best to try and get your vantage spot reserved by 10am if you can. Otherwise you will be struggling to find a good spot for the race. Hi Capilla, you can park in the Yellow parking zone, check the map. It’s free on Thursday. It’s about a 10-15 minute walk from the La Source entry to the circuit, which is where you enter for the Pitlane walk on Thursday. I suggest getting there early, it’s going to be really busy this year! Hi, do you know where the officials will start letting people in on the track after the race on Sunday? This is my first live F1 race, but from what I’ve seen on TV they will invite people from the stands onto the track to cheer the drivers on the podium. Hi Ludwig, it’s normally around 2-3 minutes after the race finishes, once the last car has returned to the pits. 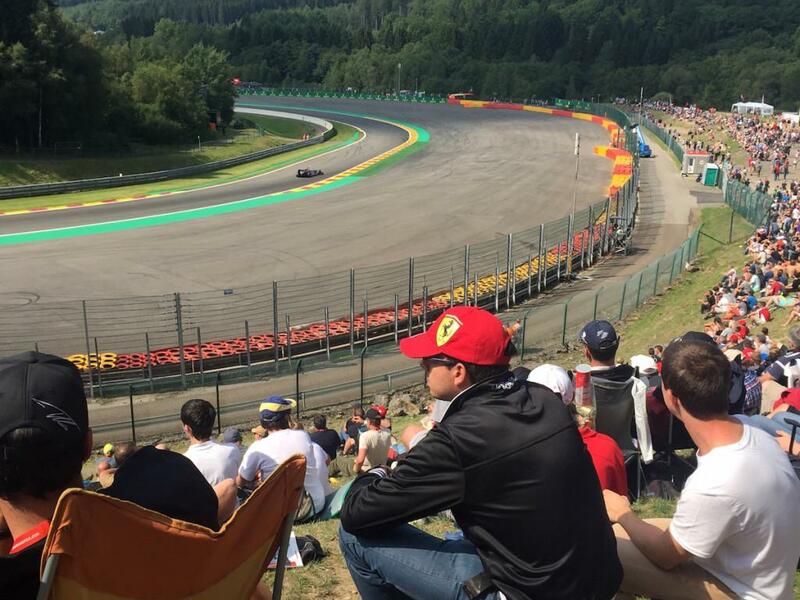 I’m not 100% sure where they let fans on to the track at Spa, but probably at either end of the start/finish straight; near the bus stop chicane, and at La Source. Enjoy! I hear that toilets are an issue. What are they like for women in the general admission bronze zone? There are free toilets (single cubicle ones) that are not great. You can pay 70 cents for better ones (at least that was in 2015). Andrew, great info, which campsite is closest to the track and with best elevation to view the race please? What time would be good to get to Pouchon in order to get a good spot? How long is it walking from green area parking? Could you tell me how much time walking distance between Green camping and track? I am planning to go there and leave the car there all the time. Also, would you think camping is a good choice for going with my girlfriend? I mean, showers are reasonably good and you can be peaceful during the night? Thanks! Hi Javier, the Green camping is quite close to the track entrance. But remember it’s a big track, so this area at the top of the circuit is some 30-60 minutes walking from Eau Rouge for example. The trackside camping is a bit loud and drunken. If you are travelling with your girlfriend, I recommend a permanent campsite near the track, like Elephant. More here. I have read that a new non-covered grandstand Speed Corner is erected around turn 11, on the outside of the track. That must be opposite the general admission slope, Pouhon? Where are there tunnels that allow you to go from inside to outside? Thanks for your really useful post. I’m heading to Spa for my first F1 experience later this month. Do you know what ticket I need to go to the pitwalk on the Thursday? I bought a ticket for the full weekend from spagrandprix.com, which has a ticket for each day, but no mention of the Thursday? Hi Mark, if you have a ticket for Friday-Sunday, then you can take part in the pit lane walk on Thursday. Bring along your weekend tickets for entry. Thanks for really useful information. Do you know about shuttle buses and if there will be a bus going from Aachen, Friday and Saturday? Do you have know if there are any artists performing? Hi Karyn, they don’t have big-name concerts at Spa Francorchamps. They have a stage in the F1 Fanzone behind Eau Rouge, but I don’t know who will be playing. Hi there do you know if there will be any shuttle buses running from Verviers station in the Thursday for the pit walk? What time would getting there with plenty of time be?! Do you know if there are any restrictions on photography equipment at the circuit? Specifically I’d like to take a monopod, but don’t want to find it gets confiscated. Just wondering if you know whether any buses run to the circuit for the pit walk and what time you’d recommend getting there for the pit walk? we are camping at the Green Zone area and I know that it will be loud and crowded (and that’s ok), but what about hygiene? Do you know anything about the toilets and showers there? Given the bad stories I hear about traffic, I am considering to go by motorbike or even parking my car a bit further away and use a normal bike for the last few kilometres. However I can’t find anything about this, e.g. whether I can leave the bikes close to the circuit. Let me answer my own question, having been there last weekend, and for others having the same question in the future. Going by bike is perfectly possible. We parked the car about five kilometres from the circuit and went the last part by bike. We put the bikes very close to the entrance on the parking lot close to Eau Rouge, make sure you have good locks. Having bikes with good gearing is definitely an advantage, as it most likely involves some climbing. As I considered going by motorbike, but didn’t opt for it in the end, I had a close look on the motorbikes. That also is perfectly possible. I spoke with some guys and they told me that the police is very relaxed about parking the bikes around the circuit, as long as it doesn’t hinder anyone. Thanks for this great guide, that’s so helpful. We’ll come from Paris to the track this weekend, do you know if it’s hard and long to access to the green parking? For example at Le Mans, it’s always a big mess… 2 hours near the track to have access to the parking. Hi there. I’ve found some great and really useful information on your site so thanks a lot for that. Just a quick question, but my parents are coming at the weekend and they are having to pick up their passes when they are there. Do you happen to know which gate the bus from Verviers would drop them off nearest to?